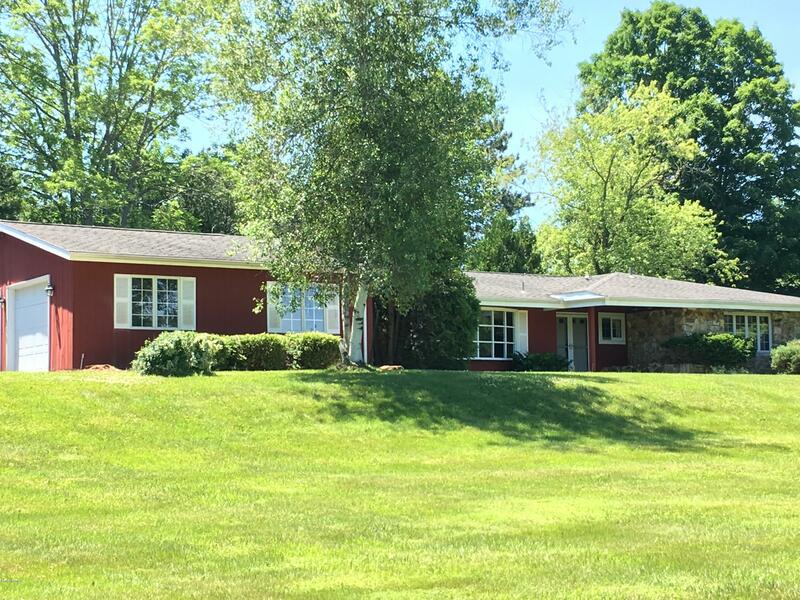 Well-built and well-designed single level executive ranch on a spectacular park-like lot off outer West Street. Picture morning coffee watching the bluebirds from the private master bedroom patio, or spy on deer stepping lightly on the expansive front lawn. 3-4 bedrooms, 2 1/2 baths, main floor laundry. Wood floors, two gas fireplace inserts, heated solarium. Master suite features dressing area and fantastic bath with separate deep tub and large walk-in shower, double sink vanity, Kohler. Stairless entry from the OVERSIZED two car garage.